Who are you? In actuality you are a huge ball of light. You are a unique entity and there is not another form of consciousness expressing just as you are. What you have to offer the world is always wonderful and beautiful. You are loving energy. As loving energy you have created your body and you have helped to create this Universe. You all are Masters, every one of you…and yet many of you don’t know this. You don’t know who you are. You don’t know of the Divinity within you. You are all special, created with love and with power, created as Masters, created in the form of God/Goddess, as little creators so that your thoughts and ideas manifest in the Universe around you. That is what I call being a Master. You are Masters of your own lives. Many of you human entities are worried and unhappy. You feel that you are carrying the weight of the world upon your shoulders. To your way of looking at it, you are carrying the weight of the world. I am here to tell you that the world was created for you to experience joy and to learn how to create what you want. It was not created to be a burden. If you are unhappy in your world, you will one day realize that you are the only one who can change your world, for God/Goddess cannot take away your free will. You can change things in an instant. You start by changing your attitude. I will provide you with more information as we proceed through this book. Who are you? You are an eternal being. You will live forever and progress more and more into joy. You are a little part of God/Goddess. This means the you that you are, the feelings you have, your hopes and dreams–that’s the part of God that you are. You are expanding God/Goddess and you will never become someone else. You will always be you becoming more and more. The life that you have now will be becoming more and more wonderful and going on into forever. Don’t look for life someplace outside of yourself, for you will never find it. Someone else’s truth is never going to be your truth unless you choose to make that truth a part of you. Someone else may try to make you become a part of their truth. Don’t do it. It is not wrong the way others think, it is simply their reality. You can’t take it from them, any more than they can force their truth upon you. If you want to change you can. If you don’t, you won’t. It is as simple as that. You see, many of you are confused and insecure because you don’t know who you are. I continually see some of you trying to get others to think as you do to make you feel more secure. In this way you feel you are right. You would like to be the teacher who says, “Come, and I will teach you”, thus trying to get others to become like you. That is all well and good if you want to do that, but you are you. Your truth is as valid as anyone else’s. You are here to feel that your truth, your life, your thoughts and your feelings are just as valuable as anyone’s upon your planet. Don’t try to make everyone believe in your truth. If they have not experienced it, they cannot know it. It is important to tell your truth to others, for the most valuable thing you have to offer anyone are your thoughts and your feelings. The distinction is that you never try to force your truth upon another. Don’t ever judge yourself as not as good as another. You are a part of All That Is. Don’t try to conform to what society wants you to be. Don’t succumb to social consciousness (See Chapter 18). Your way of looking at the world is as valid as anyone else’s way of looking at the world. If you love yourself you will always be truthful with everyone in every way that is possible. If you were to be untruthful, to say what you think you should say, or what you think the other wants to hear is a sin, if there ever were such a thing. There really is no such thing as a sin, as you use the term. Yet to be untruthful is to cause a separation, or a sin, within you. This separation occurs because you think there is you and there is that which is not you. If you perceive that other person as not a part of you, you think you can lie, cheat, steal or deceive. This cannot be! You are a part of All That Is. A sin is a judgment, saying there is a “right” way to live life and a “wrong” way to live life. There is no right or wrong way to live life. There is only living life in an unlimited number of ways. Share yourself and your truths with others…not to make their way of looking at the world seem wrong…but to share who you are with others. If you tell them what you think they want to hear, you are not only cheating yourself and being untrue and dishonest to yourself, you are also not giving to their soul what they wanted from you. People don’t interact with each other to hear lies. People don’t even interact with you to have agreement on everything they do and say. They interact with you to hear your truths, to give them a reference point for their own truths. If there is no point of reference, it is much harder to define and focus on the truths present within each spark of consciousness. This life that you have chosen is a blessed life. There is a rich opportunity to accomplish that which you have set out to do, realizing that the benefits may not be those that mass consciousness wants to reap on this plane. Now certainly there may be some benefits called tangible financial rewards, because some entities view these as a measure of success, but that is not why you came here. That is not the true benefit to be reaped upon this plane. And yet, it is a perfectly wonderful idea to create financial rewards if that is what you want. It is not the ultimate truth, however, for it is just an idea. You have come seeking the answer to the question, “Who am I? ” And you will be challenged on all fronts in this life, as to your true identity and to what and who you are, and how you should act. I do not say there is one way you should act. In fact I recommend throwing out the word should from your vocabulary. When you feel you should do something, you are most assuredly giving away your joy. If there is ever a time when I say you should do something it is that you should never give away your joy! Entities, wake up! God/-dess wants you to have joy, to create with Him/Her every bit of pleasure for yourselves, every bit of love, the feeling of safety, of co-existing with your brother and sister entities in harmony, in holiness. You are the ones who are stopping this flow of energy. Why? Because you cannot believe that God/-dess can be that loving. You have been taught for so long, especially these last 2000 years, that you are to fear God for He sits in judgment upon your every action. You have been taught that there are right actions and wrong actions. You are in constant fear that you are making the wrong decision, so some make no decision at all. What kind of way is this to live? God never wanted you to have these kinds of frightened, fearful lives. God loves you as well as all entities upon your plane. Many of you are not feeling worthy of this love, which is why you are still here, experiencing your little dramas and your ways of expressing your beliefs. As you learn to allow others their beliefs and their realities that they are creating upon this plane, your lives will unfold in a truly unimaginable way, and life will become ever more beautiful to you. You shall go on and on after you leave this plane. There are many adventures. You will not somehow come to rest in a motionless state in the body of God/Goddess, for in actuality, The Creative Force is already all around and through you now. You shall go on and on, and life shall become ever easier, simpler, and more full of joy and happiness that you shall feel. You shall ever have embodiments with which to express. There is within each of you what I call divisions of the selves. I call them the higher, middle and lower selves. The higher self is that which is connected with God/Goddess. The Middle self is your present expression of consciousness. Your lower self is that portion of you which is connected with survival and protection. When operating as it was designed, your lower self lovingly provides a constant source of information input for your discernment. When your lower self does not experience the connection with your middle and higher selves, it feels much fear, anger and confusion. It then feels it has to “run the whole show”, or your whole life, all by itself. That is like leaving a child in charge of a corporation! It doesn’t have all the knowledge that is necessary to run the corporation. That is the job for the higher self. That is one of the reasons you are having the kind of experiences that you are having, so you can learn to give directions to the lower self based in love upon a consensus from your higher self and your middle, or conscious self. Most humans on your level are guided by their lower selves. This is not bad or wrong. It is, however, limiting your joy. It is not operating in your full power. You are here to learn to love your lower self, and to gradually, step by step, merge your lower and middle selves with your higher self. One way to do this is to realize that they are there. These three selves are all part of you and it is up to you to discern any possible disharmonies and correct them. Realize when you want to follow through on a promise you made to another entity, that a part of you wants to keep the promise, and maybe a part of you doesn’t want to keep the promise. Perhaps the higher and middle selves feel it would be a fun adventure to go mountain climbing with your friend. And yet, the lower self may experience fear. Perhaps you died in another life by falling from a cliff. The lower self is holding on to this fear and wants to do anything it can to keep you from making your mountain climb. It may even have you get the flu, or get in a car accident to keep you from climbing that mountain! It is important not to judge the lower or middle selves. They are there doing what they can, in their level of understanding, to help you, to keep you safe from what they perceive as danger. They are a part of you. Another way to merge the higher, middle and lower selves is to allow the loving energies of God/Goddess to vibrate freely within you. This is what it means to be vulnerable. As you trust, you allow a stillness to manifest within you. This stillness is not the lack of motion. It is a state of allowing the disharmonious high and low vibrations to merge into harmony. It is allowing the energies of God/Goddess to permeate and saturate your every cell with peace and harmony. When you are in this state, your higher, middle and lower selves are one. Your higher self is in charge, and easily directs your lower and middle selves. When all three aspects of you supply their input, you unanimously reach a decision. Each self is able to do its appropriate job, operating in the harmony of God/Goddess. There exists what I call the multi-dimensionality of the Universe. In other words, there is not just one dimension, or one Universe. There is not just one of you. All That Is, is unlimited. You are unlimited beings. I know you have some trouble with this idea because you dwell in third dimensional physical bodies. You have your mind, which, unlimited in its nature, is very tied into the physical plane. I ask you here to open your heart as you read, so your emotional bodies, called collectively the Astral Body will feel this information as I transmit it to you. Every time you make a major decision, a part of you stays in this Universe living out your choice. However, another part of you goes to another Universe to live out the other reality. Let’s say that in this reality you choose to marry Elizabeth. In this Universe here, you marry her and carry on with your life. However, in the other Universe you did not marry Elizabeth. You may have stayed single. You may have chosen to live a homosexual experience and live with Fred. You see, because the Universe is truly unlimited, you can’t just make a decision without affecting other planes, other dimensions. You are existing for the purpose of having an unlimited number of experiences. Why not? God/Goddess sent you out to be in joy–to enjoy–and to experience the richness of existence. You human entities are indeed very complex, and this is just one of the ways that complexity manifests. At a time which you view as your future, you will start to call these portions of yourself back together, to do what I call blending your soul. You will be blending the multi-dimensionality of life into your soul cells. Why do you do what you do? You do things for reasons of your own, and you always have a motivation when you do anything. Of course you always want to gain wisdom through your experiences. That is always present, and there is much more. It is important for you to realize what your motivations are. Be honest with yourself and integrate all parts of you. If you take information from all parts of you when you are in the process of making a decision, you will have the best possibility for the most favorable outcome. Learn not to demand perfection in yourself or others. Realize that you have both perfection and imperfection within you. Seek therefore, to make the lines less distinct between the two–perfection and imperfection–or your higher and lower selves. When you bring love to the middle and lower selves, they become more at one with the higher self and the love will then help those parts of you to lessen the fear. You will never totally give up fear, but you can lessen the intensity of it or the dominance of it in your life if you stay in joy and use the right intention when you make your decisions. By right intention, I mean to have a loving intention. I will be talking about your intention throughout this book, because to have a loving intention is one of the most important Divine Laws of the Universe. Too often, you think that you are separate from God, or you think you are God. We see this in the over manifestation of the ego, in people who think they are the only ones who count. The truth of the matter is, you are a son or a daughter of the Most High imbued with all of It’s faculties, though somewhat lessened, by being tied into a human physical body. Whatever you want God to be, you must yourself become. You carry within you the Christ Consciousness (See Chapter 18) and it works for you, as you allow the Christ Consciousness in your life. So you are creating, as it were, God anew. For although He is everywhere and everything, He has taken parts of Himself to create you. As you re-combine your thoughts in working with others in situations with their ideas, so you increase God and you make Him more than He was before in something which is loosely described as a synergistic effect. You have heard that you were created in the image of God. I am telling you that you create your own image of God. You may create an angry, vengeful God who sits in judgment of you. Or, you may create a loving, allowing, beautiful God. It is up to you. Even here, you are learning to create your own reality which manifests in your world and in how you live your life. Even here, you are allowed your free will. Realize that you always have a choice. Why not create an unconditionally loving, allowing, non-judgmental God? You will then experience more love in your life. You will bring joy into your every moment, as it was meant to be. What I am telling you is that at the beginning of time, God/-dess was not lonely. She simply decided to increase love. She wanted to find out if it was possible, so in splitting Herself up into units which are called souls, and letting them interact with one another, She was able to create love in a new way that had never existed before. So, if anything you do is not in line with manifesting love…creating love…providing love…giving the possibility for love to develop, then you are not in tune with the ultimate purpose of God/-dess. This purpose has always been to increase love by enjoying Her creations and discovering more and more how to continually increase love. That is your task dear ones… although living within a human body…although limited more or less to human senses…to find where it is in life that you can let more love manifest, and what love is and what love is not. Find those entities who are always ready to share love and those who are ready to increase love. Anything which is not in line with that is not in alignment with the ultimate purpose in the creation of God/Goddess. Goddess created you as sovereign souls, to go out and make your own decisions, to create a world, to live in it and to know joy, to find love in more and more interesting and exciting ways. She didn’t make a program and say you have to do it this way or that. Now, when God created you, He created suspense, joy and beauty coming into your life continuously…flowing and expanding, sometimes a little bit contracting, but for the most part expanding constantly. And although you did not know what it would become, you knew your life would be joyful, and you knew it would bring happiness to you. Perhaps, for reasons of your own, it was a little more suspenseful if you did not know that the outcome would be a joyful one, and through the years… millions of years…you have forgotten that the outcome was always joyful. That which started out as a simple game…something to make life a little more interesting for you, and millions of souls like you, in your reality here, has resulted in you being a little blind to certain things. You’ve added blinders in order to allow yourself to experience trust, to allow you to temporarily forget some of what you have already developed in other lifetimes. All of this is for the purpose of developing different aspects of yourself. There are certain people on your planet who have discovered the love of everything that happens. These are called Realized Souls, perhaps a yogi…perhaps a sincere-hearted person who knows nothing of yoga, who knows nothing of spiritual planes, who is so sincere in their heart, that they know that what happens will be for their ultimate good. There are a great many of these very spiritual people. Create them in your life and learn from them. These people are not necessarily devout or religious people, since religious people are not always very spiritual. The people I want you to be with are those who are very trusting in their hearts that what happens shall be good, because it was so ordained by God/Goddess. If you are lost in this adventure of life and living–and many of you have been for millions of years–you aren’t going to become totally self-realized in one day. And yet as you increase in your knowingness, drop by drop, moment by moment, one day you will have blended so greatly with God/dess that you will no longer see the separation between what is you and what you earlier perceived as not you. Perhaps right now you are an entity that is totally seeing the world in which you are living with just your physical eyes. 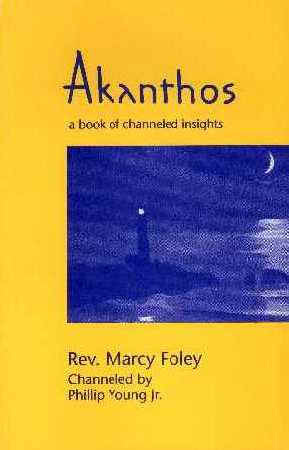 As you own the truths in this book, you will start seeing clairvoyantly. You will begin to feel more deeply than you have ever felt. You will hear more clearly than you have ever heard and you will begin to put the pieces of this jigsaw puzzle you call your life together in a way that makes sense for you. What is it like on the plane where you live? Why are you in the exact place you are in your life? Your life manifests on this plane, surrounded by souls who are similar to you in their evolutionary development. You are all different in your individual development to certain degrees. Some of you have learned how to avoid pain and suffering. I will tell you about these people as you read further. Most of you will have some situations flowing into your life which will be tinged with pain and unpleasantness. Crises and storms of life shall occur because this is your current knowingness. These are the vibrations which you draw to yourself, but it need not be so forever. As you desire to evolve and grow, you will bring more realized souls into your reality. These souls will give you new ideas to think about and feel into. The fact that you have drawn my ideas to you, through this book, shows the willingness of your soul to change and to grow. I know these things may be difficult to hear and I am not without compassion for you. Remember, I have lived upon your plane many times. I know that, upon your plane, things happen more slowly. We will speak later of the importance of time upon your plane. We have said you must start accepting your own opinions and ideas about life. When you do this, you will find great truths. Situations will not come into your life to sabotage you. You will always find a tug at your heart strings, or soul strings, to go along with that which you feel is right and in consonance with your own ideas. The fear is there that what will then come into your life might be painful. Well, some things will be a little bit painful. I know I tell you no great truth when I say you will be able to endure whatever is given to you. The earth is a dark planet. Look around you. Killing is going on. Eat or be eaten is the rule. There’s talk of much hatred, jealousy and anger between human entities. It is all right, for this is the place, this is the planet where these aspects of life are meant to take place, for all of the souls that are here are basically stuck at that level in one way or another. It is alright to feel your anger. It is not alright to hurt another because you feel angry. It is alright to go and tell them of your anger, and to speak verbally with them about it, resolving any conflicts that arise. This resolution of conflict is called feeling complete in your experiences with others (See Chapter 18 on complete), and it is important to do that. Do you want to know if you are here totally alone, or if the Universe, in Her great compassion, is with you every step of the way? You are constantly getting messages from your Spirit Guides, from God/Goddess and from those entities like me, who look upon you and assist you occasionally. Often, when you stub your toe, drop a plate, break a glass, you hear a thunderbolt, see lightning, or hit your finger…this is to make you aware of your feelings about something that was just said, or something which you just thought. So think quickly back to it. Don’t push it away. Let it come and flow into your being, and realize what it was that allowed you to feel angry (or some other emotion). As you do this, it will slowly lose its power. You will learn very quickly this way. Of course sometimes the Universe gives you little signals or exclamation points after you have said something important. These are there so you can learn to be more aware. Learn to discern what is in your reality and what it’s significance is to you. You may be speaking to a friend saying, “You know, something within me is telling me to move to Kansas.” and just then the lights in the room flicker, a thunderbolt strikes, or the sun bursts out from behind a cloud. This is the Universe giving you re-assurance that what you said is important. Now I know you believe that to think a negative thought is to give it power. Believe me, you give it far more power when you allow it to be unconscious. I am here to teach you to bring these things to the conscious surface where you can work with them. So trust, and let the thought be in your mind of anger, for example, because then you can heal the anger so it can be transformed back into the love that it really is. I will speak more on this in chapter 16 on Feelings. If you push your anger (or whatever you are feeling), away and don’t want to feel it or even think about it, it will be like some devious little critter inside you, getting its power and sustenance from you, living on within you in your energy field as an idea. It will then shape the situations which come into your life, until you say, “Oh woe is me. How did that happen?” Don’t behave like a victim in your life, only reacting to what you unconsciously created. Consciously create your reality. Trust yourselves to feel what is there, and then change what you don’t like. I want to teach you to hold onto your power, to learn to empower yourselves. For many, this is a challenge. I will help you. You all have questions within yourselves, and often you ask others for the answers to these questions, even asking me. This can be well and good at some times, and yet it can be a way to give your power away, for ultimately your answers will come from within. Unless you realize this, you will never be a sovereign entity. Your inner self is always giving you messages and directing you. Why have you not been listening to yourself? There are two main reasons why you don’t often listen to yourselves. First, you are reluctant to trust and to allow yourself. You thought you had to change yourself…to be worthy…to be of more value…not knowing that you didn’t have to change at all. You only had to allow yourself to be and to go out and create your adventures and the changes would take place. You don’t have to be anything. You can change and have more joy if it is your desire and you don’t have to change to be worthy. You are worthy simply because you exist and because God created you. Second, you don’t always listen to yourself because you do not love yourself. I am not saying you do not love yourself a little bit, for you do. The truth is that you don’t love yourself a lot. You see, you could not allow yourself because you thought the way you are now isn’t really where things are happening. You thought in order for God to love you–or anyone else to love you–you had to somehow be different than that which you are right now. This isn’t true. You see, I love you and I have never asked that you change…not in this life or any of the past or future lives where I have known you. I have allowed you to be you and I have allowed you to have your grand adventures. I know that as you gain wisdom and knowledge so you gain more joy in your life and you get closer to the realization that you are indeed worth loving, just as you are, not because of something you shall become some day. For you see, you shall ever be in the becoming. Know that your soul is everlasting. Now is forever, and forever is now. In the great Oneness of All That Is, the very fact that you are living and breathing, as an entity, means that you have received the greatest gift of all…life…and that you shall have it eternally. It shall always be yours. As you were created perfect, so once again, shall you enjoy that perfection, which escapes you at the moment. You have worlds to conquer and lives to live. You have adventures to go on, and the biggest adventure of all is simply called living. That is what you are doing now, dear ones. You are living. How is it that you are not manifesting, oh Masters, that which you are…all that love and joy and beauty which you are? The answer is that in millions of years of contact with the lower vibrations of those planes and Universes that you have up to now inhabited, you have slowly and surely lost contact with that reality which is the Lord God of Your Being. You have become less than perfect because you have wandered away. You have become caught up in the illusions of your third dimensional world. You have forgotten to see them as illusions. So, you have started believing the stories that you yourself tell. Life is a painting in three dimensions, and you are the artist. The brush is your thoughts, beliefs, intentions and desires. Just as the artist does not paint everything s/he desires, or believes in, but only that which s/he strongly wills, so it is with your birthright. Allow your strong desires to manifest and be fulfilled. The fulfillment may come in the end of the painting. But realize that the brush strokes may come in a way that you do not readily see because of the time difference. The manifestations sometimes come much later than your beliefs, thoughts and deeds. They often come in a different form than you had thought, and yet a close scrutiny will undoubtedly make clear to you that which is the essence of their being. You are here upon the Earth to learn to work with this idea called time. One of the ways you learn it is by your creating and manifesting process. You may create something, and yet when God/Goddess is re-arranging the Universe, there may be a time lag before your manifestation is brought to you. You are here to develop the talent to manifest joy in your life. For that is what it is all about. You are here to be happy, and to have your happiness more abundantly. I shall tell you today that which is no secret on my plane, and even though it has been ever imparted to yours, it still remains mostly a secret. Those who have received it have understood it and have long since transcended this plane. But the rest of you have not felt it. So mark my words today. That which you do not feel, you will not own. It will not be yours, and it will be simply a matter of sounds, words, or scratches on paper. You must let these words which I communicate to you reverberate in your soul, for only then will you receive the full meaning, which has been placed there. How do you create more joy? You most certainly do not do it by fighting against that which the masses do. I am not telling you anything new. One day I will be personally with you, so that we can exchange dialogue, instead of only me giving you a monologue. For I should love to work with you to prepare your soul for the joy and the happiness, preparing for you to allow this love from us into your life. You must learn patience in allowing your manifestations to come at the appropriate time. You don’t want the baby to be born before it is fully developed, so God/Goddess won’t allow your manifestations to appear before they are ready. And yet, you must become very impatient at doing those things which are accomplishments, for you. For you are full of power, ready to soar with or without a pilots license! To use an old metaphor, the time has come for you to break the chains which bind you, for they are only illusions, although in this life they appear real enough. You must learn patience, and yet it is not earthly patience I speak of. I mean simply waiting in full knowledge that everything is yours and that it shall be yours. If what you desire is not in your life at the moment, this is an indication and a mirror to you of areas to search your beliefs, to see why your beliefs are manifesting in such a way. Why do you hunger and thirst when you can seat yourself at the banquet of God/Goddess anytime you desire? To many of you, patience is a word that you dislike to hear, of something that was asked of you as a small child. Perhaps, even today, you dislike it when someone tells you to have patience. I’m telling you to have it and my use of the word patience shall be slightly different from that which is called the patience of the world. Know you, if you had but one life to live, then I think you probably would be justified in trying to get all that you could in this one life, if that were true. But, it is not true, since you have many, many, many lives to live. That which is called your life is yours, and it shall manifest giving you, in your future time, all of those lovely, beautiful, tasty, gorgeous, alive things which you so desire. For it is all yours. From the very beginning it is yours, and it is your destiny to get these things. And yet if you desire them too greatly, and try by means of force to get them in this life that you are living, you leave no chance for God to give you these things when you are ready. No one is wiser than He. So do not lose the chance by desiring to be given, too quickly, all that is yours. Do not lose this chance by being demanding about getting it now, in your time expectations, for that is the way of the small spirit, the small soul. It simply takes because it lacks understanding. I call this your altered self. This little self is altered by contact with matter, with illusion. It is so altered that it thinks that in order for it to get something, someone else has to do without it. It is like the little child who told his parents he wanted a red fire engine for Christmas. His parents had already bought it for him, and it was wrapped under the Christmas tree. And yet, he wanted his fire engine so much that he stole the one from the boy next door. Had he trusted, and waited, he would have gotten his own shiny new fire engine, and yet because he chose to steal the one from the boy next door he settled for the used one, with scratches on it. Plus, he had the pain in his soul from doing something which he knew wasn’t right. How many of you are like the little child, who can’t wait until God, in His infinite wisdom, gives you what is yours? Even today, it is the altered self that thinks it must manipulate others, so that things don’t change unexpectedly. This is the altered self which feels that if it is hurt, the only way is to strike back ten times harder so that the other will be shocked and fearful of ever causing it hurt again. This is not the way to create what you want. This is an unlimited universe, full of enough for everyone. Don’t attack others. This is the way of the warrior (see chapter 8). The way to accelerate your getting what you desire is by knowing that the fullness of creation is yours, and waiting patiently for you to allow it to manifest itself. There is no other way. You do not get that which you desire by manipulating others, or by a show of force, or by cheating. You get those things in life that you desire by believing, by desiring and by imagining strongly that you have them. And as I have said, by the acceptance of this concept in your soul, that if you do not get them according to your time table, you shall indeed still get them, for you are a child of God. It is your own impatience which keeps much love from you, much love from flowing to you. Others around you pick up on the impatient vibration, and close themselves off from you, for they do not want to be hurt by this forceful vibration. You are constantly being presented with mirrors. These mirrors tell you the condition of your soul, to help you find those spots upon your soul, which through gradual belief and work shall be changed. You should be grateful for the great blessing which God has given you, that others are allowed to manifest to you those things which are in you, both positive and negative. When you discover something which you call negative within you, you will discover again and again aspects within your soul which require purification. It is this ongoingness of ultra-purification. As you interact with others, your vibrations call forth a vibration in someone else who may say something which irritates you. This is all part of the ultra-purification. Rather than blaming that person for hurting you, and since you are responsible for yourself, look within to see why you felt angry (hurt, jealous, or whatever). While you experience these unpleasant vibrations (feelings) within yourself, thank the other person for assisting you in knowing yourself more. When you own it, your soul is a little less marred for this experience. One thing that stops many entities is that they want to be perfect. Perhaps all do underneath, to some degree or another. Know that you really are perfect in your heart. You are pure love and you are perfect in your soul and in your higher self. Your lower self is the part that manifests the imperfection, the misunderstanding. This is the part of you that you have to heal. When there is a conflict between these two aspects, you allow this to stop you, to create confusion, which in most cases causes you to stop your actions. Trust yourselves to live your lives as you desire. Everything you do or think results in beauty and joy and yet upon your plane of duality, it doesn’t appear so. You create illusions where the negativities come, or appear to come. When you feel imperfect it is because you are identifying too much with the illusion around you and with your lower self. You try to make yourself perfect, by forcing yourself and by using discipline. This is not the way to create the harmony and realize your perfection, for you have disconnected yourself from your Higher Self, and from the love of God. You already are perfect in your inner core soul, but the outward manifestations don’t yet show this. Please know that it is really true that you are perfect in your core. The more you feel, the more you shall feel and the more will this perfectness manifest in your life. It will be like unto a miracle, which it is, because it is a miracle of God’s love. There is only one problem here, and I shall tell it to you. Knowing that you are perfect, you still see the imperfections around you. Each imperfection shows you that this is an aspect which to a greater or smaller degree must be realized within your soul. You are a conscious explorer which your soul has sent out into this dimension. In order to know itself, your soul uses you as the explorer who finds the mirror-like manifestations so the soul can correct them. Now the problem is, that your soul has sent you out in good faith. When you come into this life, you come into contact with the illusions which you are supposed to find out about. But you come so strongly into contact with them that you start believing them yourself. You become that which is called the altered self and decide that it is not enough just to see what is going on here. You decide that you have to defend against it because you think that it can hurt you. Please know that you do not have to bring pain and suffering into your life, because you don’t have to defend against anything. Some entities are so caught up in what they call problems that they seek to leave this plane for something which they think is better. They are so worried about the condition of their soul that they seek to end their own life as a way to solve their problems. There are no problems. There is only experience. If you want to repeat an experience, so be it. If you want to go on to a new experience, then do so. If you want to have experiences which you choose to bring you joy rather than pain, so be it. Ending the existence of your physical body is not the way of the soul who truly loves him/herself. To take away this form of living would be to take away the many experiences which can be learned in joy. As you are here to enjoy life, this would be a very unloving thing to do. Do you want to know the condition of your soul? Do you want to know things you will have to cope with in the next life? Simply look around you, and all of this unfinished business shall be yours again. Do you see why leaving this plane can never be a solution? You shall come again and again, until your lessons are learned. Keep knowing that your soul has the strength to give you all that you need and want. Therefore, why leave? Stay now and learn those lessons, which are simply lessons of love. Realize that these “lessons” are simply things which you wanted to realize and remember…an understanding which you wanted. Find where you, in a thought, have deviated from love. Then release that untruth, that thought, or that feeling and bring more love into your life–for that is who you are–LOVE! Be aware of the signals from the universe. 1. Notice where the Universe added an exclamation point to get you to pay attention to what was just said, felt, thought or one. Look for signs that the Universe gives you, to show you how you are in alignment with All That Is. These signals can take on any form–a bird suddenly flying across your path, a strike of lightning, even a stranger suddenly waving to you (just to say hello) which is like the Universe saying, “YES!” to you. You may want to keep a written record of these in the beginning just to allow you to more easily focus on your reality. 2. Notice when you drop a plate, stub your toe, slur your speech, burn your dinner. Is this a momentary pinprick (See Chapter Three, Purpose.) or is this your soul wanting you to pay closer attention to what kind of reality you are creating? Were you feeling angry, and refused to get in touch with this feeling, so you broke your glass? Were you having dinner when someone said something which got you in touch with an important feeling, and because you didn’t notice, you spilled your water? It is not that I want you to analyze every single second of your existence, no, for you are here to live in joy. It is that I want you to begin to see where your unconscious self is directing you in many ways. This is to teach you to become more conscious of what your thoughts and feelings are, so you can then create your reality the way you really want to. Of course, if you can get the members of your household, your close friends or your work environment to play along with you, you can double or even triple the fun of self discovery! 3. Learn to integrate all parts of you when you make a decision. Listen to your higher and lower selves and blend this information with your conscious self. Sit for a few minutes before making any decision and ask what your motivations are for this action.